I’ve got a confession to make; lately I’ve been busy doing work that’s keeping me stuck behind a computer (or a camera) and while you may be concerned that all those lovely tools in the basement are sitting idle, they aren’t… in fact, Dana’s been putting them to good use. 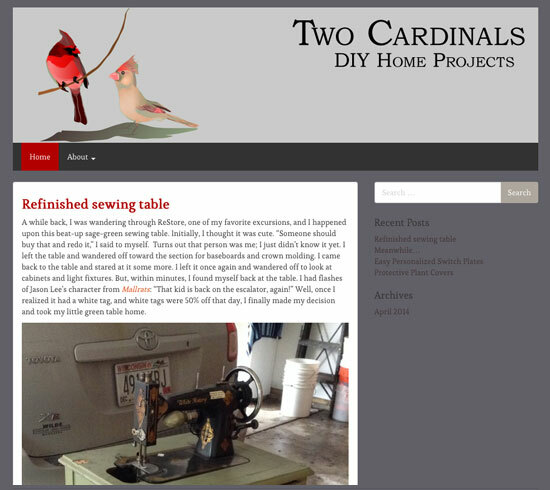 In the past few weeks she’s refinished a sewing table, made a bird-tracking chalkboard, showed off some personalized switch plates, and protected her plants. 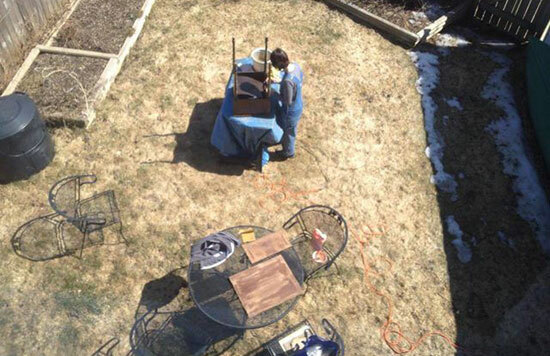 Posted on Sunday, April 27th, 2014 at 7:00 am. Subscribe to the comments feed. Both comments and pings are currently closed. Post on your own blog.